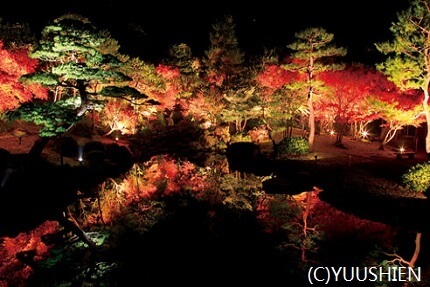 Yushien is a Japanese garden that features 250 types of stunning Japanese peony flowers. 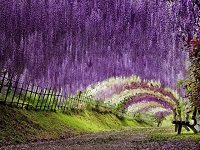 Established as a private garden in 1975 on Daikon Island of Shimane Prefecture, this 40,000 square meter garden is filled with traditional elements of Japanese gardens, including a rock garden, tea shop, waterfalls, streams, stone lanterns, pond, and a wide array of seasonal flowers. Between the months of April and May, more than 30,000 colorful peonies are in full bloom in the garden. The Garden was originally developed as a means attract people all around Japan to come to Daikon Island to enjoy the peony flowers. 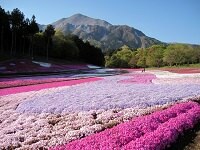 After opening to the public, this garden attracts around 30,000 people a year who come to see bright seasonal flowers. The beauty of the garden is enhanced by the unique garden pond. The peonies are carefully cut and the petals float on the pond. 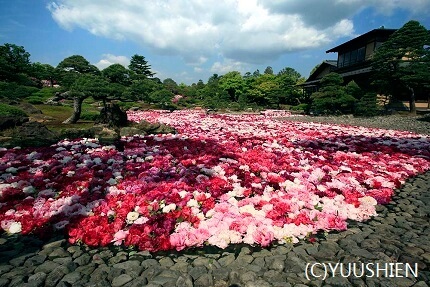 Pink and yellow peonies fill the surface of the pond to create a stunning flower carpet effect. The sweet smell of the floating peonies is an overwhelming sight of beauty. 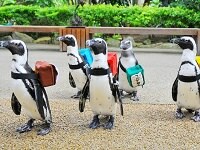 Apart from an impressive collection of Peony flowers, Yushien draws many tourists for other beautiful seasonal events. Many people come to the garden during the autumn months to enjoy the leaves turning crisp colors of red and orange. The winter months are marked with a light-powder of snow on the garden grounds. Even better, during the winter months from November until the beginning of January, the park is decorated with 700,000 lights for a marvelous illumination show. 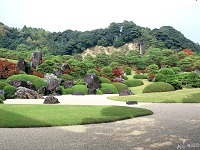 The garden is also home to a few Japanese restaurants for guests to enjoy while viewing the scenery. Our Japan Tours can be customized to include time in Shimane's Daikon Island for our guests hoping to experience this charming Japanese Peony Garden any time of year.